TORONTO – B’nai Brith Canada is pleased to announce the appointment of Ran Ukashi to the position of National Director of the League for Human Rights. For the first time in our long history, the League's national director will be located outside Toronto. Ukashi's office will be in Winnipeg, further demonstrating the truly national reach of the organization. Ukashi began his work with B’nai Brith Canada as Regional Director in Manitoba. In that capacity, he promoted the work and mandate of B’nai Brith throughout the Midwest Region. In his new role, Ran will oversee the organization’s advocacy objectives, the 24/7 Anti-Hate Hotline and the League’s flagship publication -- The Annual Audit of Antisemitic Incidents. Ran brings a wealth of academic, professional and personal skills to this position. A PhD from the University of Manitoba’s Faculty of Peace and Conflict Studies is in his plans. His research is focused on the Arab-Israeli conflict. He has written on issues related to Judaism, Israel, the Middle East and international politics for a number of outlets and has published a peer-reviewed article on Jewish indigeneity in Israel for the Peace and Conflict Studies Journal. Ukashi was the recipient of the 2016 Mark & Dorothy Danzker Scholarship, awarded in Manitoba for excellence in the preservation of Jewish culture and life. He is a member of the World Jewish Congress’ Jewish Diplomatic Corps program, a global network of more than 200 members from a wide variety of professions, to advocate locally and at international forums on issues surrounding interfaith relations, antisemitism, Holocaust awareness, combating the delegitimization of the State of Israel and securing human rights and minority rights. Aside from the Jewish community, Ukashi has worked in a government-relations and advocacy role with the Manitoba Métis Federation on issues of importance to the Métis community in Manitoba, and Canada more broadly, including contributions to the securing of indigenous harvesting rights, self-governance and access to equitable health-service provision in Manitoba. Ukashi said: “I am very excited about taking on this important role with B’nai Brith Canada and having the opportunity to combine my passion along with my skills in fighting antisemitism." Michael Mostyn, Chief Executive Officer of B’nai Brith Canada, is delighted that Ukashi has accepted the challenge to head the organization's all-important League for Human Rights. “We are thrilled to have Ran take over the reins of the League, leading the charge for B’nai Brith’s fight against antisemitism," Mostyn said. "He is bright, strong-minded, a pleasure to work with and knowledgeable. I am confident that we have found the right person for this vital role." Mostyn also is pleased that the League's new national director will be based in a Canadian city other than Toronto. 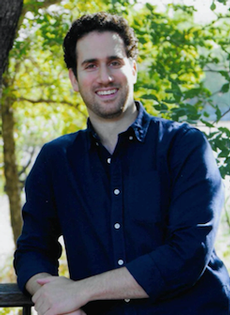 Ukashi succeeds Aidan Fishman as National Director of B'nai Brith's League for Human Rights. Fishman's contributions to the Jewish community and as an advocate for human rights in Canada have been outstanding. He flourished with numerous victories with B'nai Brith and the League and we anticipate him adding to his laurels as a lawyer. His next move will be articling at the legal firm of Borden Lander Gervais LLP, in Toronto. Ran Ukashi can be reached at [email protected] or 204 487 9623.